Topping the list is time sensitive news – an early start to Thanksgiving Football. With low temps forecast for Thursday morning, the high schools are moving up the traditional T-Hawks v Rangers game to Wednesday night at 5:00 pm. Tickets are available in the ARHS athletic office until 11:30 am tomorrow for $5 each. $10/ticket at the game. The performance cheer team placed 11th at States and received the first bid to nationals in program history! 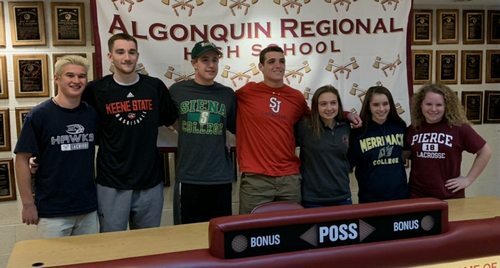 Cross Country reached the end of its road at All States. Tess Reyes outpaced 170 other runners to come in 8th in the Girls 5K on Sunday. The Boys team came in 19th place overall and Girls 20th. 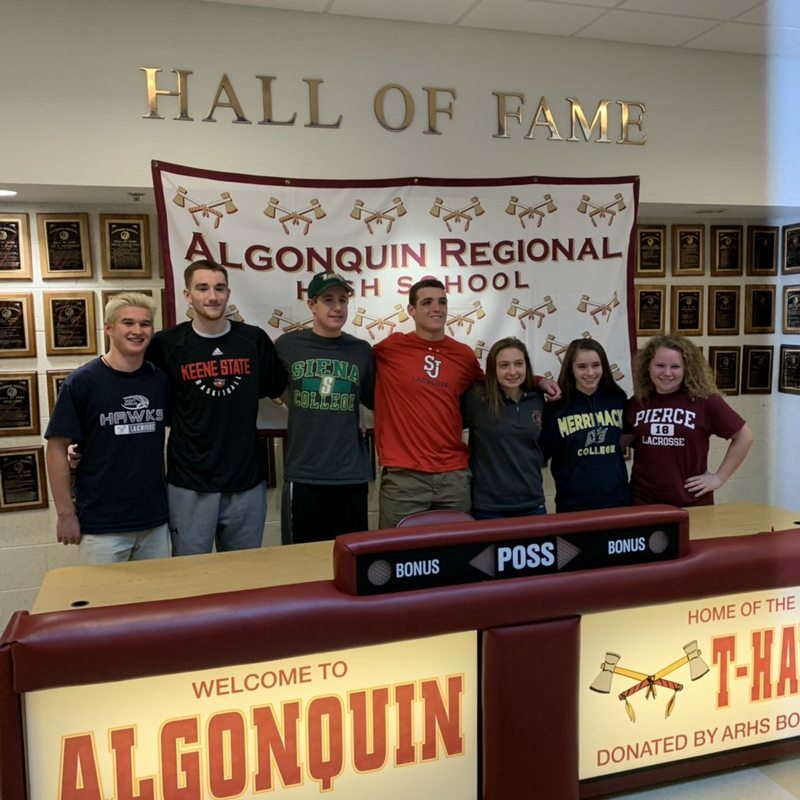 Thanks to emails and local news, I can share that several athletes with links to Southborough signed National Letters of Intent to play college sports last week. “It’s just an amazing feeling to realize a dream of mine to come true,” said Carreras on what it was like putting that pen to paper and signing that letter. Carreras first realized that he wanted to play at St. John’s when he went to a prospect camp in the summer about a year and a half ago, where he ended up meeting with the coaches. 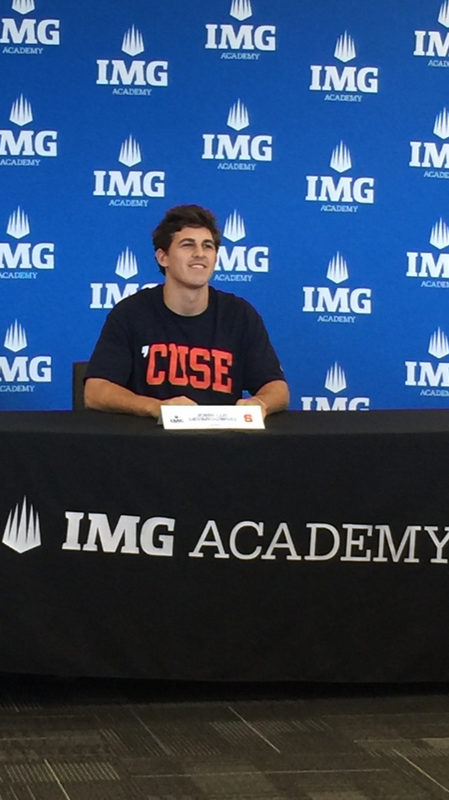 Another Southborough resident, currently attending a far flung school, signed on to play Lacrosse at Syracuse University next year. JJ Levandowski used to play Lacrosse in town as a Neary and Trottier student. These days, he’s attending IMG Academy in Florida. Boyd Hall of Boylston, Mass., will be attending Quinnipiac University in Hamden, Conn., where he will play lacrosse. Hall was a 2018 ISL All-League selection. 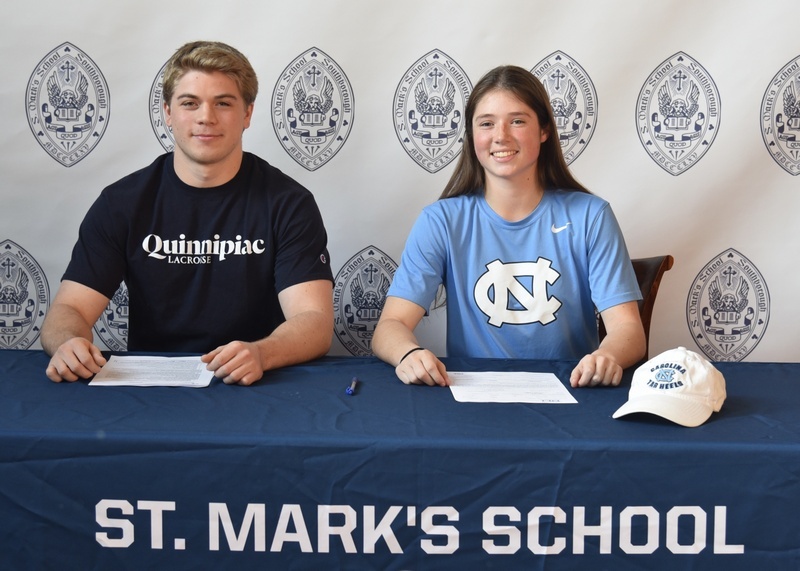 Bailey Horne of Framingham, Mass., will attend the University of North Carolina-Chapel Hill, where she will play lacrosse. Horne was a 2018 ISL All-League selection.